When a woman is not financially prepared to look out for herself she should not be getting in trouble as big as pregnancy, how is that person going to provide shelter, clothing and more especially afford to get food for herself and that little life that is going to come to the world? When pregnancy is unplanned, often times people will abort it or hand it to an orphanage once born. Most teenagers are not mature enough to have a baby as they don’t even know how to take care of themselves; if they’re incapable of handling themselves how do you expect them to give adequate care to such a fragile life. 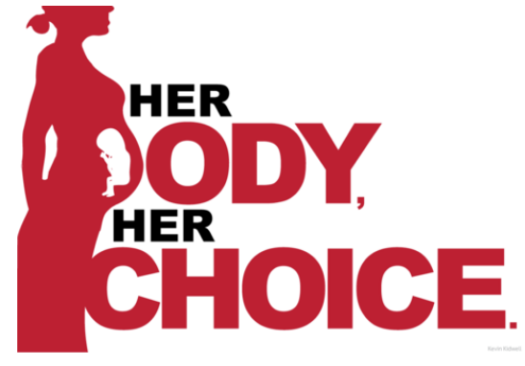 When a woman depends on her parents or guardian which is already burden enough, not all the time they want to help her and she has to opt for abortion if she does not want to lose everything. When you are pregnant, every financial need or emotional need is doubled or sometimes even more. If the father does not accept it or denies his kin, how would you expect other people to care for you? It can harm the mother. It can worsen a family’s relationship. It gives women an option to avoid responsibility. According to the American College of Pediatricians, “Human life begins at conception (fertilization).” It strips the right to life of someone who has not done anything wrong to deserve that ending without even start anything. How do you justify giving women the right to abort but not giving the baby the right to choose? Isn’t this a form of contradiction? Teenage abortions can cause emotional effects in woman body and can cause physical damages. Like Amy R. Sobie and David C. Reardon said teens are more exposed to infections because teenagers do not have their body completed develop as a woman is. They also said that usually women who tend to abort their first child have a 30 to 50 percent of having breast cancer. Sometimes, conflicts and disagreements may arise due to a different perspective on abortion. For instance, parents that disagree with the decision made by the mother to abort the baby might offer to take in the child in case the mother doesn’t want them, but the mother might insist on abortion. This creates an irreversible crack in the relationship of the family once abortion is made. It does not have to be the parents who cause this separation it can also be an aunt or uncle or grandmothers who are very traditional and do not think that is the best way to solve the pregnancy. Abortion also encourages one to avoid responsibility (especially in a teenager) in the sense that one can quickly solve problems by erasing it and acting like it never happened before. You have to confront and own up to all of the mistakes that you make instead of taking the easy way out by hurting others which is not right. Content and multimedia content © 2019 The Bell. All rights reserved.